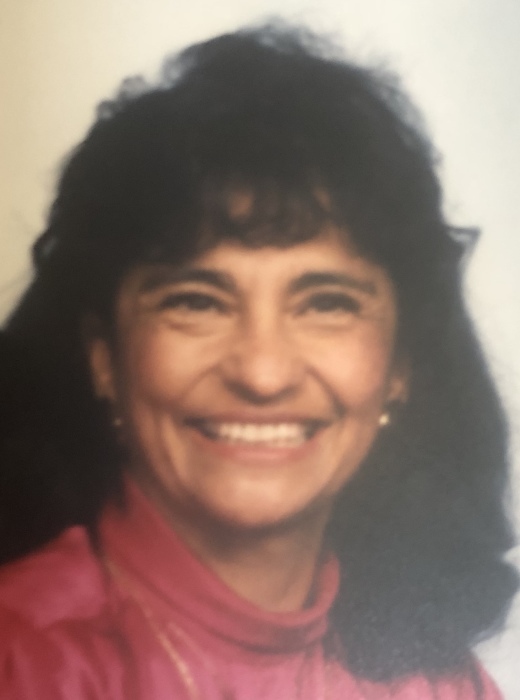 Esther Loretta Vigil, 77 , passed away Oct. 17, 2018 in Pueblo, CO. She was born Feb. 1, 1941 in Florence, CO to the union of Michael and Tomasita (Gallardo) Lave who precede her in death along with her sister, Mary. Esther retired from Hewlett Packard as PC Designer for over 20 years. Esther enjoyed crafts, cooking, camping, fishing, dancing, music, and traveling. She loved going to mountains to spend time in her cabin. She was a giver, and loved to take care of others. Above all she loved her family and faith. Esther leaves to cherish her memory, her loving husband of 59 years, Bernard Vigil; children, Michael (Sandy) Vigil, Jim (Barb) Vigil, Frank (Rosemary) Vigil; brother, Ernie (Julia) Lave; grandchildren, Jana (Ronnie), Erin, Bobby, Gabe, Rachel (Anthony), Jessica (Zack), Marissa (Eric), Frank Jr., Brian (Cirila), and Jennifer (Ryan); 11 great-grandchildren; numerous other relatives and friends who will miss her dearly. Rosary Monday 10:30 a.m with Funeral Mass to follow at 11:00 a.m both at St. Joseph Catholic Church.